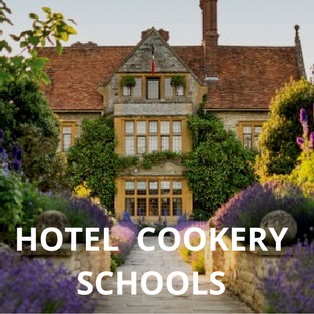 We’ve selected the best places to stay in Suffolk, including luxury hotels, boutique hotels, budget hotels and pubs with rooms. With hotel rates provided by our Booking Partners, it’s easy to check availability and book. The Swan hotel in Southwold has a history stretching back to 1660. The listed coastal hotel is owned by Adnams Brewery and has recently undergone a swanky £6 million refurbishment. The classic drawing room has been given a modern townhouse makeover and two new restaurants have been created. For food lovers, there’s fine dining and a tasting menu in The Still Room restaurant. The 35 chic bedrooms are stylishly decorated. Expect four-poster beds, pretty seaside pastels and muted tones, luxury bedlinen, fresh coastal bathrooms and high quality fittings. Located on the High Street, you can easily go for a stroll around the town’s art galleries and artisan shops. Don’t miss a spot of gin tasting at Adnams Gin Distillery where you can make your own gin. Rooms from £200 a night. The Ship at Dunwich is a lovely old inn, ideally placed for exploring the resorts of Southwold and Aldeburgh along the Suffolk coast. It’s located in a quiet village that was once an important medieval port before it was destroyed by a terrible storm. The Ship is rich in history and tales of smugglers. From the pub, it’s just a short walk to the shingle beach and the nature reserve that attract walkers and birdwatchers to this part of Suffolk. There’s everything you’d expect from a characterful historic inn – flagstone floors, a real fire, good beer, cosy dining areas (two are dog-friendly), and hearty pub food. Bedrooms are comfortable and simply furnished. A great choice if you want to get away from it all for a blast of fresh air and coastal walks. The riverside market town of Woodbridge makes an ideal base for exploring Suffolk hotspots such as Snape Maltings, home to Aldeburgh’s famous food festival. The Crown is at the heart of the town. It’s a pub with rooms but has more of the feel of a small hotel. The buzzy bar is a popular meeting place for locals, as is the restaurant. On the menu, fantastic Suffolk produce including Deben mussels, Dingley Dell pork and Pinneys smoked salmon. There are ten bedrooms each one decorated in calming neutral tones. They come with super comfy Hypnos beds, crisp luxury linen, Ren bath products and smart bathrooms with under floor heating. The Crown is a relaxing and convivial place to stay in Suffolk with friendly staff and attentive service. Breakfast options are tasty and generous. For a really unique place to stay in Suffolk, book a mini break at the Swan Hotel in Lavenham. This luxurious and historic bolthole is one of England’s most charming country hotels. There is much to love about the 600-year-old timber-framed building, a fine example of a beautifully preserved medieval inn. The dining hall is particularly special with its beamed, vaulted ceiling and minstrel’s gallery, the perfect setting for a romantic dinner. Stressed out city slickers will appreciate the recent addition of a wonderful spa with its treatment rooms and pool. The 45 bedrooms are tastefully presented as is the food with both informal and formal dining options. This converted and refurbished 18th century watermill offers chic, elegant and stylish accommodation. The setting? An idyllic 12-acres of countryside near Newmarket and Cambridge. You can admire the old workings of the mill in the bar as you sip your G&T. The restaurant has exposed beams but a contemporary feel. If you’re looking for privacy and proximity to nature, stay in a cosy Nook room in the meadow (one has its own hot tub). For a change of scene, don’t miss visiting Wyken Vineyard in nearby Bury St Edmunds where you can lunch in the Leaping Hare restaurant or shop at the Saturday farmers’ market. Suffolk has many special places to visit but Orford is most definitely one of them. The pretty coastal village is home to artisan food producers such as the Pump Street Bakery and Pinneys of Orford. The place to stay in the village is the Crown & Castle. It overlooks Orford Castle (English Heritage). 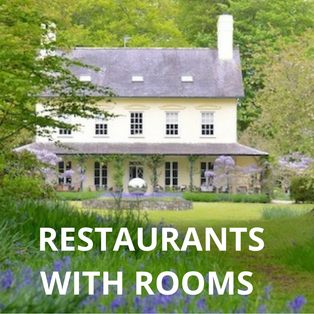 The restaurant with rooms is co-owned by Country House Rescue’s Ruth Watson. There are 21 elegant bedrooms decorated with pretty fabrics and soft colours. Some of the courtyard garden rooms are dog-friendly so you can enjoy the excellent forest, river and coastal walks nearby. A good choice for couples looking for a peaceful break by the sea. Don’t miss a spot of lunch at Butley Orford Oysterage. Built in 1452, this award-winning old coaching inn has bagged the prime spot in Bury St Edmunds. The ivy-clad Angel Hotel sits on the town’s main square opposite St Edmundsbury Cathedral and the Abbey Gardens. Like its sister hotel, the Salthouse Harbour Hotel in Ipswich, the hotel is independently owned and run. As for the 77 bedrooms, choose from range of designs and budgets. From French style romantic suites to classic rooms, there’s something for everyone. It’s worth visiting the hotel just for a cocktail in the quirky basement bar. The Wingspan bar has been fashioned out of an old aircraft engine and doors. Rooms from £111 a night. A beautiful and stylish townhouse hotel with 10 rooms located in the heart of Bury St. Edmunds. Recently renovated, The Northgate is an ideal choice if you fancy a romantic weekend away in Suffolk. Bedrooms are contemporary in style mixing light wood furniture with soothing colours, huge comfy beds and smart bathrooms. Food lovers will appreciate the gastronomic delights on offer with the hotel’s all day dining concept. Fresh local Suffolk produce take’s pride of place whether you’re tucking into a hearty breakfast, lunch or dinner. The cocktail list is amazing. Ever tried a chestnut bellini or an olive oil washed martini? Overlooking the village green in Moulton, you’ll find this delightful boutique retreat. The Packhorse Inn is not your average country pub with rooms. It has been beautifully refurbished and oozes with style and substance. The bedrooms are fabulous with huge beds, goose down duvets, crisp white sheets and deep baths. Rooms in the courtyard work particularly well if you’re travelling with your dog. Four-legged friends are welcomed with special blankets, bowls and maybe even a sausage at breakfast. 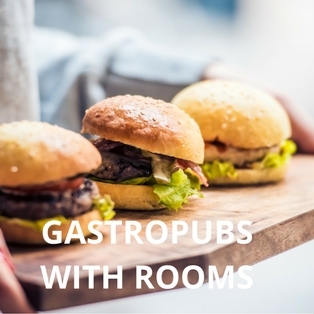 As for the food in the restaurant, expect superb pub classics with a modern European twist. Try the 50-day aged rib eye steak followed by the melting chocolate soufflé with sea salt ice cream. The world famous Newmarket racecourse is three miles away and Cambridge can be reached in 40 minutes by car.